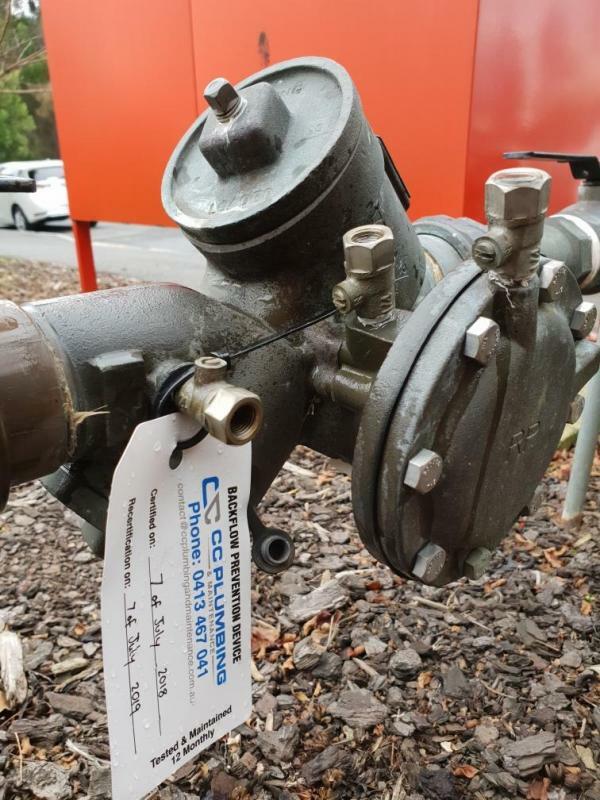 CC Plumbing & Maintenance are specialists in backflow testing, installation and repairs throughout Melbourne and Geelong. Backflow valves are required to be tested every 12 months. Results from your accredited licenced plumber will be sent to the relevant water corporation. If you want to feel confident that your backflow prevention testing has been conducted effectively and thoroughly, trust the professionals at CC Plumbing & Maintenance. For any more commercial plumbing work you might need, take a moment to review our list of services we offer to see how can help. Backflow prevention is essential to ensure the integrity of the water corporation’s reticulated water supply system. This minimises the risk of backflow contamination from connections to the main system. Backflow testing and maintenance is a mandatory requirement every 12 months to prevent the risk of water pollution. Business and property owners are responsible for the maintenance and testing of their backflow prevention device, with works carried out by a suitably qualified plumber in order to protect the reticulated water supply system. At CC Plumbing & Maintenance we are plumbing experts who are certified, licensed and experienced to test, repair, replace and install all your backflow containment devices. We have the training and expertise to determine the risk rating of backflow on your property and establish the type of backflow prevention required. This ensures protection of the reticulated water supply system from contamination flowing back through the property water services. On successful completion, your backflow prevention valve will be certified, tagged, recorded and lodged with your water authority. Annual rescheduling is planned for your reoccurring testing. Contact us today and be rest assured your next business audit meets all regulations and standards to ensure safe drinking water. Thus, helping you protect the safety of yours and Melbourne’s/Geelong water supply. Call on 0413 467 041, send an email to contact@ccplumbingandmaintenance.com.au, or leave your details on our easy to complete enquiry form, and we will endeavour to reply with your information and an obligation free quote as soon as possible.